According to reports, the Czech army has requested purchase of Namer APC, considered one of the world's most advanced. The Czech army was highly impressed by the Israeli-made Namer APC, and requested the right to purchase it, the Below The Turret defense magazine reported. 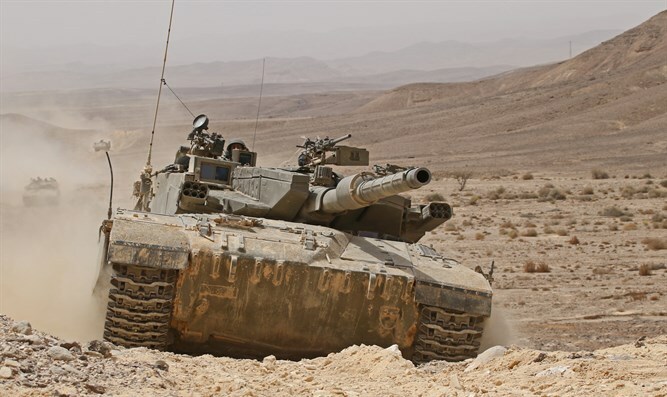 According to the report, the Czech army asked Israel to buy the Namer, (Hebrew for "leopard") to replace its aging Soviet-made BMP-2 infantry fighting vehicle. The report said further that the Namer was among nine finalists, but Israel didn't respond with a price quote in time for the deadline. The report noted that "at the time of the tender request, the latest version of the Namer fitted with an unmanned turret had not been presented. At that time the only available infantry fighting vehicle configuration of the Namer was limited to a few prototype vehicles fitted with the Samson Mk 1 remote weapon station." "Using this remote weapons station instead of a proper unmanned turret has one major drawback: it is essentially unarmored and can in the worst case be disabled by machine gun fire because the ammunition feed system and parts of the electronics are not covered by any sort of armor." In August, Israel rolled out a new model of the Namer that is outfitted with a 30 mm cannon as part of the IDF's effort to upgrade its urban warfare capabilities. Unlike the Merkava Tank, the cannon in the Namer will not require a soldier to be vulnerable while operating it by standing in the turret, also freeing up space and enabling the APC to transport more soldiers. The gun is remotely controlled by soldiers riding inside the belly of the Namer, with the aid of video cameras. The cannon was added to improve the Namer's urban warfare capabilities, something to which the IDF attached top priority after 2014's Operation Protective Edge. Another APC, the 'Eitan', was introduced in July 2016, and is considered more maneuverable in urban warfare settings due to its having tires, as opposed to the more common tank treads. Used by the Golani Brigade, the Namer is the IDF's most fortified APC, significantly more protected then the 'Achzarit' used by the Paratroopers and Givati Brigades, and light years ahead of the Vietnam war-era M113. The Namer uses the same armor as the Merkava Tank, and is outfitted with the same Trophy anti-tank missile protection system.